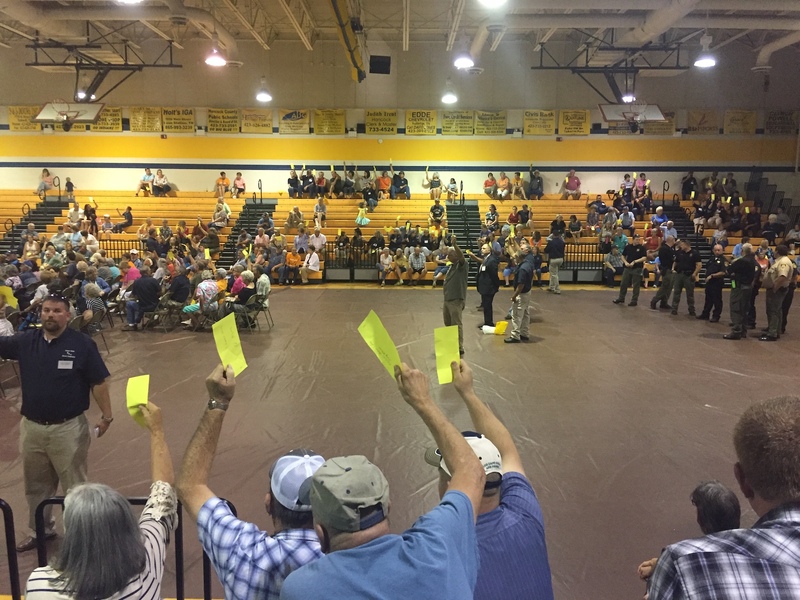 On Saturday, Sept. 15, more than 1,200 members of Powell Valley Electric Cooperative (PVEC) and their guests gathered in the rural community of Sneedville, Tenn., to vote at the co-op’s 2018 annual membership meeting. 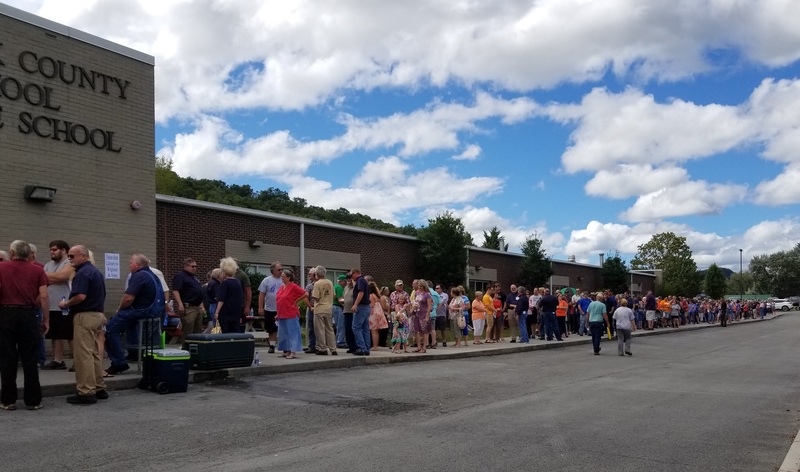 The event prompted the second-highest PVEC voter turnout in recent history, with members lined down the sidewalk outside Hancock County High School, waiting hours in the hot sun in order to cast votes for their board representatives. 1,254 PVEC members and their guests wait in line to vote at the 2018 Annual Meeting, double the turnout from the previous year. For weeks, community members in East Tennessee and parts of Southwest Virginia heard news of a heated board race between three incumbent board members and three new candidates endorsed by a grassroots group called PVEC Member Voices. 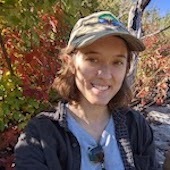 The new candidates — Jeff Lewis, Kirsty Zahnke and Bill Kornrich — ran on platforms promoting transparency, member involvement and environmental stewardship, and supported a bylaw amendment that would open board meetings to the cooperative membership. Much was at stake for the incumbent directors, who averaged 23 years on the board and included the board’s president, Roger Ball, and vice president, David Kindle. Coincidentally, the other record for PVEC voter turnout was set in 2003, the last time Ball faced a challenger for his seat. PVEC Member Voices utilized door-to-door canvassing, letter writing, tabling at community events and countless newspaper ads to educate their fellow members about the importance of attending the annual meeting and voting for change. The group faced a huge challenge with generating votes, as mail-in ballots were not allowed and the location of the meeting was quite far from many members in the service area. In spite of their work, the three change candidates were outvoted 3-1 at the polls. Micki Mercurio is a Thorn Hill, Tenn., resident and representative of PVEC Member Voices. She considers the annual meeting a “win” for the group, citing the sizeable turnout in favor of change candidates but, more importantly, the empowerment the group has helped build among people living in the PVEC service area. “Folks who previously felt they couldn’t make a difference standing up alone found that, by working together, we could begin to make inroads for the common good of our communities” said Mercurio. Normally a quiet event, heavy police presence from the Hancock County and Claiborne County sheriff’s departments as well as Tennessee State Troopers monitored the annual meeting. Surprisingly, discussion around opening the cooperative’s board meetings to the membership saw heated responses. This unusual point of contention came to a head when a motion for the board to adopt a written policy for open meetings was shot down by 182 of roughly 300 members that stayed for the business session. A motion to notify PVEC members of their board representatives via local newspapers was similarly downvoted by the crowd, but President Roger Ball seemed to override the verbal response and passed the motion. PVEC Members vote against a written policy for open board meetings as county and state law enforcement look on. Despite some of the crowd’s negativity toward the idea of open meetings, nearly 500 signatures in support of an open meetings bylaw amendment (which differs from a policy in that it can only be adopted by the membership) were presented by PVEC Member Voices during the discussion. The PVEC board blocked members from voting on the proposed amendment at this year’s meeting by failing to post proper notice prior to the event. Instead, the proposal was seconded during further discussion and will be up for a vote by the membership in 2019. Until that time, PVEC Member Voices plans to continue educating members on what it means to be part of a cooperative and why open board meetings are so important. Since the annual meeting, PVEC has made additions to its website providing information about board representatives, a district map, policies governing the cooperative and more. After months of discussion with PVEC leadership about the need for added transparency, PVEC Member Voices is excited to see some of its recommended improvements made to the website. You can learn more about PVEC Member Voices by checking out the group’s website and Facebook page. PVEC Member Voices encourages anyone receiving service from Powell Valley Electric Cooperative to attend its monthly meetings and help continue working for positive change at PVEC.